Some overconfident divers might argue that you don’t need a dive computer stating that for years before they were invented people safely dived and enjoyed themselves. However, today it’s thanks to this device that the number of diving accidents has drastically been reduced. You see, during a dive, the nitrogen from the air you breathe gets dissolved by your body, and if left unchecked, this can lead to sickness and, in some cases, loss of consciousness. A dive computer’s basic purpose is to calculate the exact amount of nitrogen that’s in your tank so that you are alerted before it reaches a dangerous level. So in the light of those facts, should dive computers be part of the crucial gear for diving? – Absolutely! Because they have that all important job of informing you whether the air you breathe has reached a dangerous state, you should not buy a dive computer on a whim. This piece of diving gear is perhaps the one that needs most consideration and you should make sure that it’s reliable, has the most modern technology and is and easy to use. For that reason, here’s a quick rundown of the most important features you should look for. The most important function of this device is the ability to do some potentially life-saving calculations. Calculating the pressure in the diving suit can inform you when and how many decompression stops you need and at what depth. 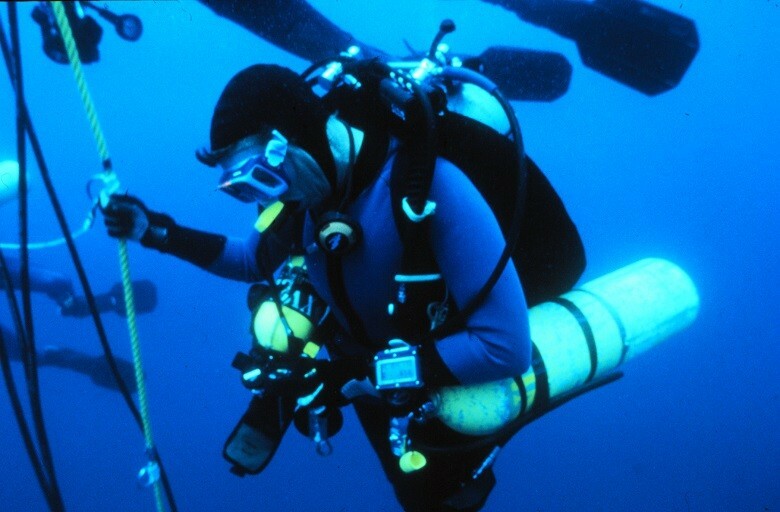 Because sometimes a diver can miss a decompression stop or ascend before the stop has ended, some dive computers can perform revised deco stops. Top notch dive computers can also calculate no-fly times. This is important for divers who are about to board on a plane following a dive. Right after a dive, the nitrogen starts to slowly release from the body and if you fly on a plane before it’s completely released, you risk potential health risks for the nitrogen expanding. But having your computer on can tell you the exact time you can safely fly next. Of course, during diving you would focus on admiring the scenery and photographing corals and fish, which can distract you from checking your computer. Luckily, there’s a convenient feature for that – an integrated alarm system. Some divers prefer visual alarms, while some think audible alarms are more effective, but no matter your preference, the alarm will remind you to make a quick check on the important parameters. By setting an alarm that goes off when you reach the maximum depth can be critical when diving nitrox. Another good reason to set a reminder is when you’re getting closer to the tank’s air limit. Programming alarms before diving in can ensure that everything goes as safely as possible.